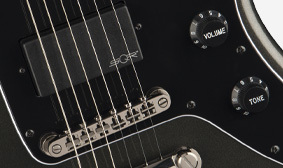 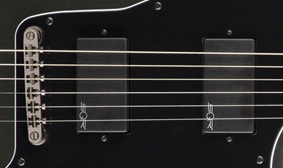 These Squier SQR ceramic humbucking pickups produce high-output, modern tone perfect for crunchy rhythms and soaring solos—compliments of the onboard 9-volt active electronics. 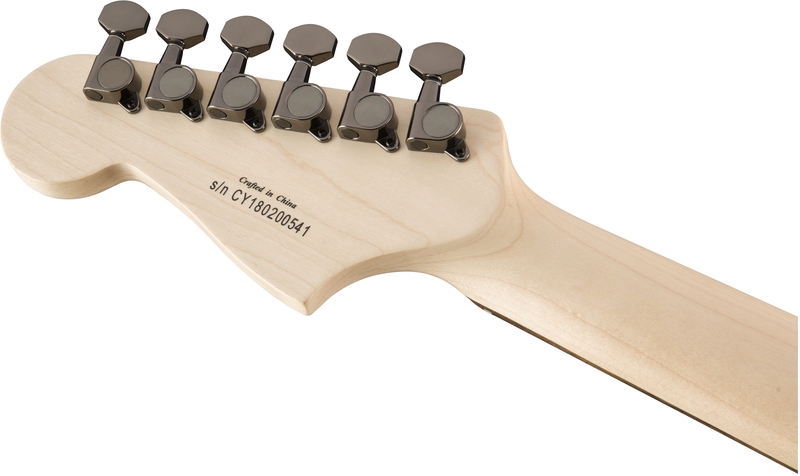 Visually alluring, a matching headstock is a unique stylistic touch. 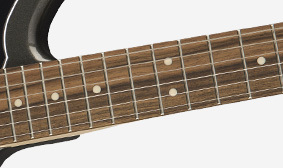 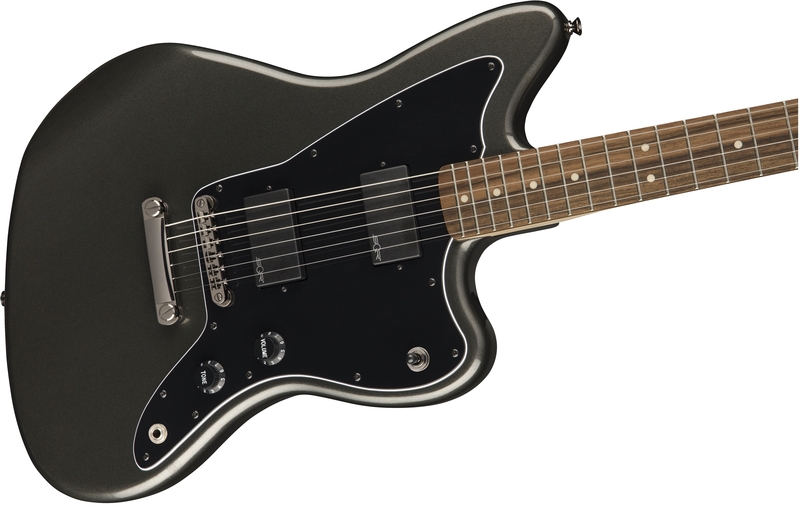 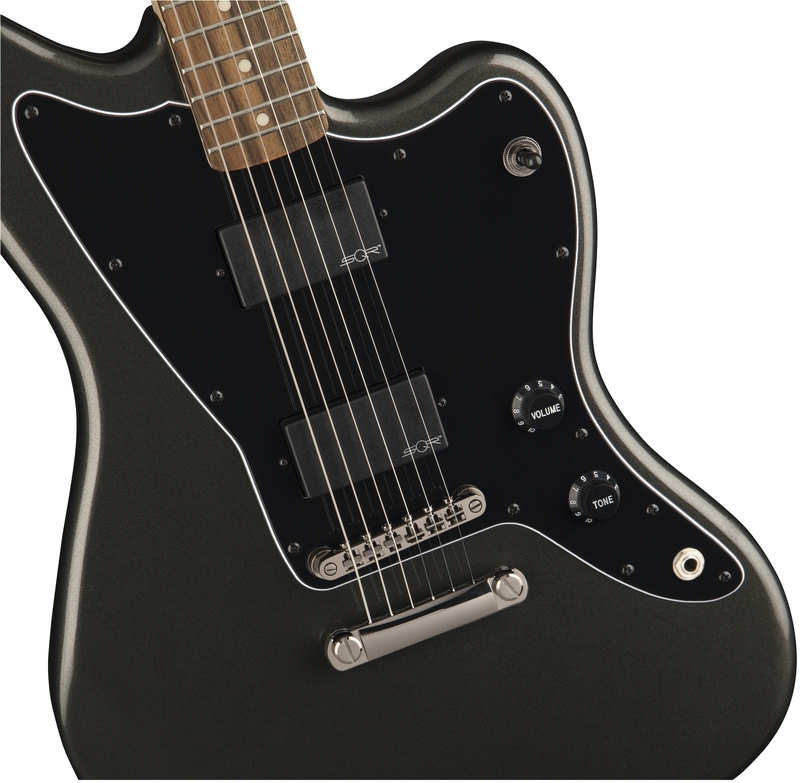 A modern 12”-radius fingerboard offers low, fast action with slim feel. 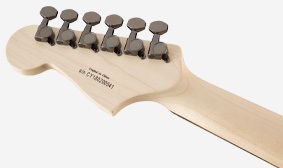 This instrument offers a slim “C”-shaped neck profile for easy playability. 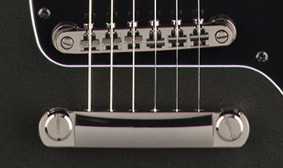 Stealthy and subtle, black chrome hardware is durable and resilient. 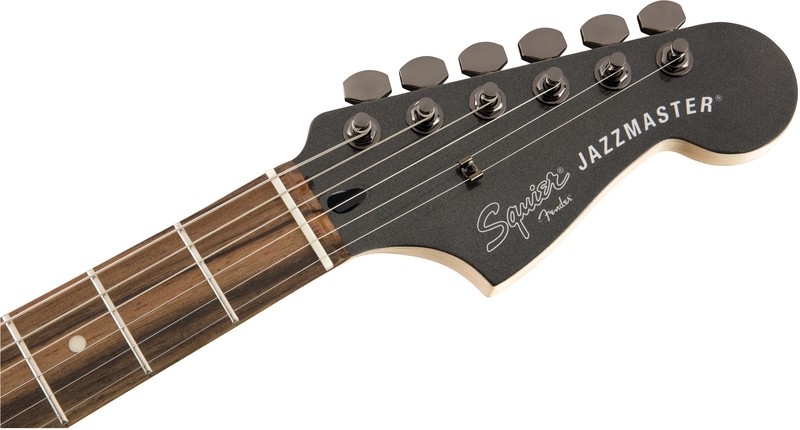 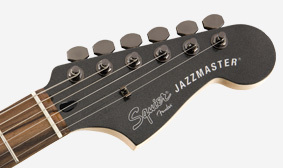 The adjustable bridge and stopbar tailpiece create rock-solid tuning stability, even for unconventional drop-tunings.